I am going to come right out and say that I love my set of My Book House. I am going to try to be as objective as possible in presenting you with the value of the set here, but you will ultimately have to decide if it is worth it to you to procure your own set — especially as most of us are not the lucky ones to stumble upon a set at a yard sale for $10. I am also going to try and answer the “how to use these” question. Though my answers may not be completely novel, they might spark an idea or two you can use. 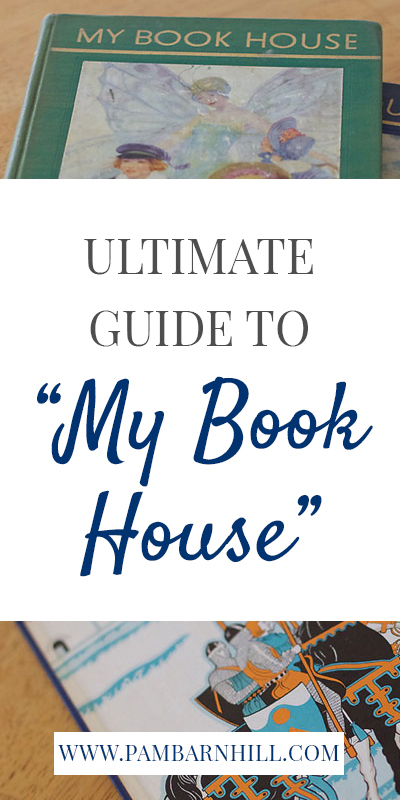 What is My Book House? My Book House is a series of books published from 1920-1971. The series is a collection of literature for children, including wonderful stories, poems, and biographies. The child who read these 12 volumes by, say, sixth grade, received a junior liberal education. I highly encourage its use as the “Core Curriculum” for the grammar stage. Due to their increased popularity, they can be a bit harder to find and more expensive than in years past. I was fortunate to snag my set on Amazon for only $39 a number of years ago after seeing the original Kern article. Most often these days sets in good condition can be found for around $100. Sometimes, though, there are treasures waiting to be discovered at thrift stores and used bookstores that can be purchased for much less. Online, eBay and Amazon are your best bets. My Book House was a labor of love for Olive Beaupré Miller. Miller was born in 1883 in Illinois to a prominent and affluent family. She married a book salesman, Harry Miller, and they eventually settled in Winnetka, Illinois where they had one daughter, Virginia. Miller was a writer and worked on a novel while caring for her infant daughter. One day, Miller missed the baby’s feeding by two hours and in an attack of conscience, burned her novel. This setback did not stop Miller from writing poems and stories to share with her baby girl. The poems were eventually collected and published by the P.F. Vollard Company. Miller continued writing and searching out appropriate stories for her daughter. At the encouragement of her husband, she started collecting these stories, and they decided to publish the volume themselves. My Book House was born. The company was unique for its time. The books were sold door-to-door by a female sales force. In fact, many of the company’s employees were women. The first My Book House set was published in six volumes in 1920 and Miller continued to revise the books until she retired in 1962. The books themselves were published until 1971 under the United Educators publishing company. The first set of My Book House published was a six-volume set bound in black. The publication date of Vols. 1-4 is 1920 while Vols. 4 and 5 were published in 1922. 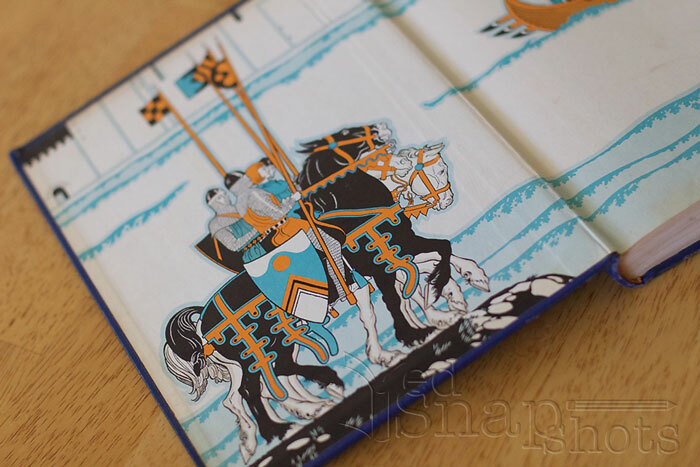 The set went on to be reissued in various versions until the final twelve-volume set in 1971, which was white. The set was broken from six to twelve volumes to make it more durable for little hands. Smaller volumes made for less pressure on the spines and through the years thicker, more durable paper was used as well. The volumes also have differences in illustrations. Earlier sets are in full-color while later sets use a teal, aqua, and salmon color-scheme only with more of art deco look. My own personal set is the “rainbow” set of twelve volumes from 1950 with the deco artwork. I also have the In Your Hands: A Parent’s Guidebook volume with my set. This thirteenth volume provided information about child development, ideas for play and learning, a set of home-school charts which helped parents use My Book House to meet school expectations of different ages of students. Perhaps one of the more unique features of this volume is the calendar in the back correlating authors, musicians, and famous people plus special events to specific months of the year. If you have the rainbow set and can get your hands on this volume, it is a valuable tool and still-relevant resource for child development — especially for those of us eschewing the modern-day push for early academics and overemphasis on standardized testing. The sets were updated by Miller herself over the years. She chose to remove some pieces and insert others as a reflection of changing tastes in reading and in society-at-large. The final set was published after Miller’s retirement and may have the greatest deviation from her influence. Miller purposefully organized the volumes to relate to the age of the child. The earlier volumes are geared towards the youngest children while the story content and the reading level increases as the set progresses to Volume 12. She also stressed her own lack of educational agenda beyond providing children with access to the best stories. The goal of The Book House company was to make reading the best literature to your child easy for the modern family. 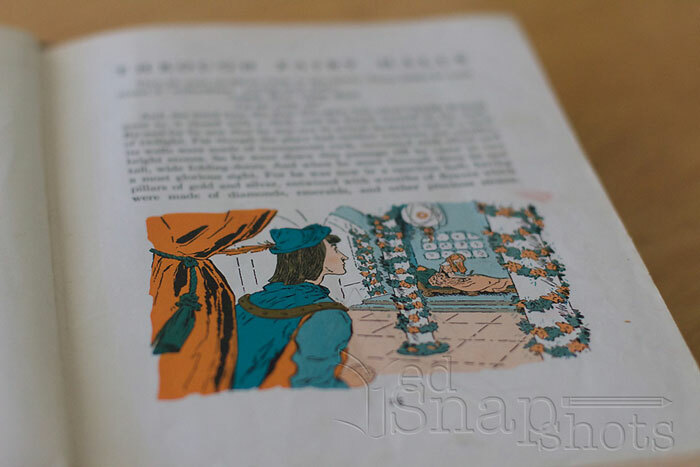 Miller wanted stories that demonstrated good moral virtues to children while being full of rich language. … basic principles, with which I emerged from my search and on which I built My Book House. First, — to be well equipped for life, to have ideas and the ability to express them, the child needs a broad background of familiarity with the best in literature. Third, — the stories and rhymes selected must be graded to the child’s understanding at different periods of his growth, graded as to vocabulary, as to subject matter and as to complexity of structure and plot. If you are unable to purchase your own copy of My Book House or would like to utilize an audio version, there are a couple of great online options for free. The original six-volume set in ebook form. All of the original volumes of My Book House are available to download free on Librivox. As with any Librivox recordings, the quality of the narrators is hit or miss and subject to your own personal preferences. This is a good way, though, to try out the stories for free and you might find some recordings you really enjoy. One question I see time and again is how these volumes can be used in the homeschool. 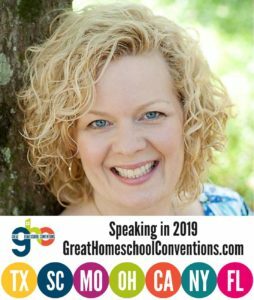 While the obvious answer might be to simply open them and read them, as a homeschool mom, I realize making a concerted effort to schedule something in is often what I have to do to be sure we include it. Here are some ideas that you might enjoy. Add them to your Morning Time. There is a slot on my Morning Time loop schedule that says “My Book House.” At that time, I open our current volume at the bookmark and read a single story, or if the selection is short, a story and poem or collection of poems. I simply spend about 10-20 minutes reading what is next, reinsert the bookmark, and place it back until the next reading. Nothing else is required. 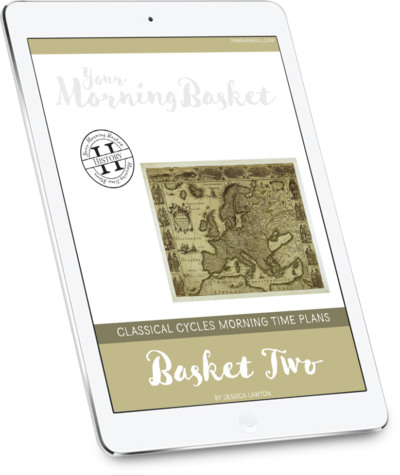 You could also have MBH tea times once a week or save it for bedtime reading. Provide them for free reading. Mystie Winckler of Simply Convivial keeps her set available on the most accessible kid bookshelf in the house. 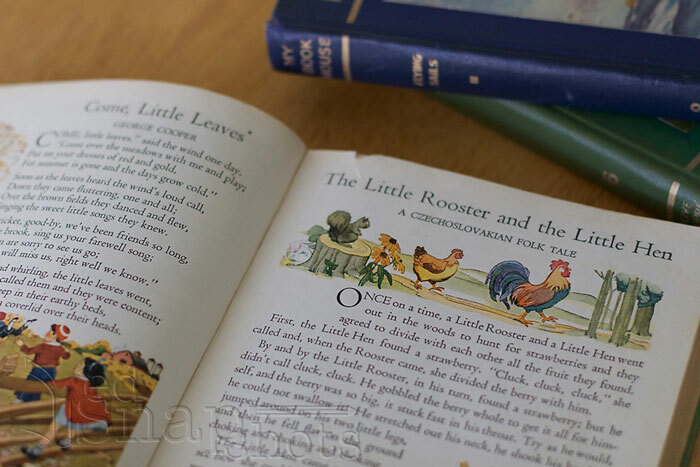 The kids know they are free to help themselves to a book, and she says they often do most likely due to the illustrations and the fact they are able to complete entire stories in one sitting. Practice narrations. Whether you read the stories aloud or in Morning Time, or assign them for silent reading. Many of these selections are a good length to practice narration. Since you know the stories are living, they are great selections for practice. You can use the Five Steps to Successful Narration eBook from Simply Charlotte Mason to get you started or use some creative ideas from these narration activities. Use them for a geography study. The topical index in the final volume has an extensive Countries of the World listing. Use the stories in the series, a world map (and puzzle), plus a fun cookbook, and it is easy to have a meaningful geography study. Use the books to supplement your composer study. There are a number of biographical composer stories and stories about individual musical pieces as well. You can access those under Music in the topical index. Read My Book House around the year. 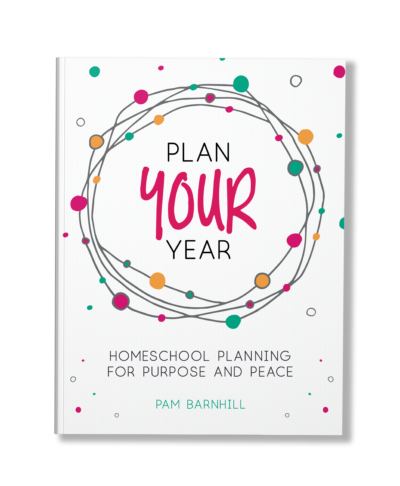 If you have the In Your Hands parent guidebook then you have a month-by-month listing of selections to read based on holidays, historical events, and famous birthdays. Even if you do not have that volume, you can still find a listing of selections by holiday in the Holidays section of the special subject’s index. My Book House is perfect for thematic reading for the little guys. Using the topical index, you will find great literature selections for a study of transportation, occupations, or animals. For preschool or kindergarten, stick to selections from the earlier volumes. Pair these with a coloring page and a good dose of play-acting (let’s ride the train, let’s pretend to be an elephant) and you have an easy preschool or kindergarten enrichment program with quality literature. Compare and contrast myths. Five different myth traditions are included. Read a selection or two from each tradition and compare and contrast the mythologies. Discover what makes a hero. A number of different hero stories (fiction and nonfiction) are included. These could be used for written narrations, oral biographical reports, and a study of the similarities of heroic stories. Use the character building index to read by virtue. Read a number of virtue stories in Morning Time (or maybe at lunch) and then brainstorm as a family to come up with ways that you can exhibit each virtue in your daily lives for an easy virtue study. You might also choose to use a Bible concordance to memorize a verse related to that virtue during your study. 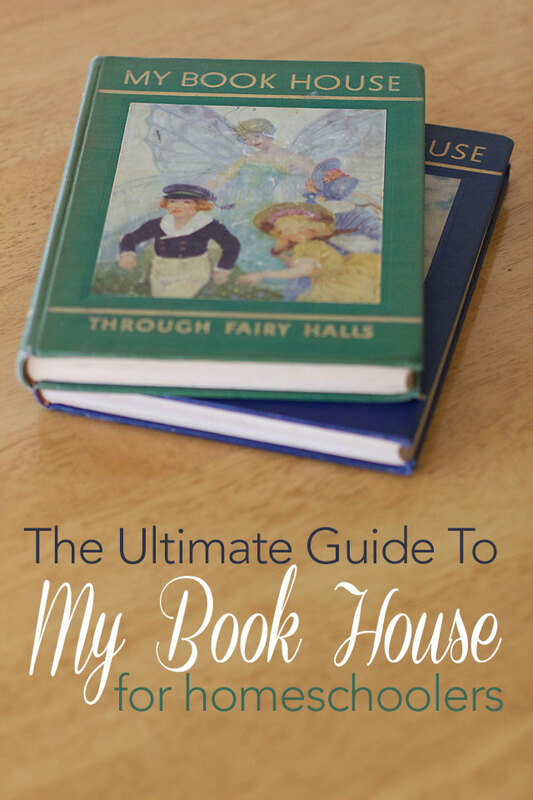 I hope some of these ideas will spark your own for using My Book House in your homeschool. I would love for you to share any ideas you might have in the comments. My Book House was not the only books Miller compiled or wrote. I have collected a copy of all of these, and while we have not read all of them yet, they all look enjoyable. Note: These are not the only My Book House sets available, just the ones on Amazon at the time of this writing. eBay is also a good place to look for sets. Olive Beaupré Miller and the Bookhouse for Children — Enjoyable biography of Miller. I got a copy through interlibrary loan. 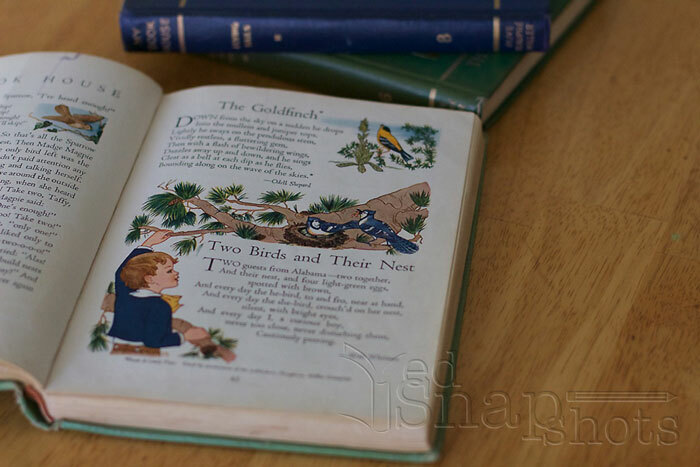 My Book House at Old Children’s Books – Informations about the different sets. I thought I was the only person on the planet who had read Miller’s biography! ; ) Nice to find a kindred spirit! When I read the bio, I found it fascinating about the door-to-door sales, mostly by women, and how they were still able to sell sets of these books in tough economic times because mothers saw them as so valuable for their children’s upbringing. The biography kept mentioning “Book House babies” – those raised on these books who still look back fondly on them. I have the 12-volume set of the white cover books, and I also have Miller’s Picturesque Tales of Progress, which we use in conjunction with the SOTW series and the Famous Men books. The illustrations for these books are beautiful and the wording is sophisticated and yet accessible. We read some of these as a group, but the kids also pick up the volumes to read individually during free time. I read Volumes 1 and 2 to my little kids during a morning circle time (ages 6 and under). My four year old particularly loves “Book House” and requests for me to read from the volumes constantly. Reading Kern’s article and now your feature make me feel even better about having these gems as part of my children’s childhood. I wish I had been exposed to these books in my own upbringing; my literary upbringing was rather weak. . . Thanks for featuring these books for those of us who have them . . . and those who are out there considering them! Thanks so much for this! I recently bought a set of green and blue books from a fellow homeschooler whose children had outgrown them — some of them are a bit tattered and well loved and I can see why! We’ve only been through the first two volumes and we already love them 🙂 The back of the 12th book has an index for the whole series, but I’m going to see if I can get my hands on that Volume 13! Hi there! Thanks for this! I have the last printing of this, so it’s the most “modern”. Anyhow, just wondering…is the volume in the rainbow 1950 version that you have different from the In Your Hands volume that I have? Thanks! I have been looking for a reasonably priced set for several years! I hope to find one soon!! I have only volumes 1-8, copyright 1965, that Mom read to us at bedtime when we were children. I am planning to include them more frequently in our morning time. I enjoyed having Mom read these to us when I was a child, and I remember looking through volumes 1, 2, and 3 frequently on my own. I wonder if I should try to complete my set by looking for the remaining volumes! 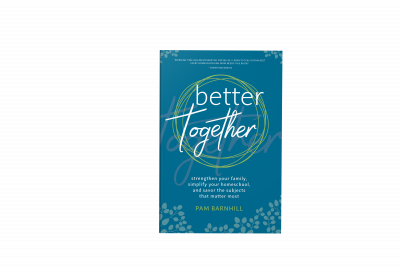 This was so wonderful to read from top to bottom….I hear so much about these books but really knew nothing about them before this blog post. Looks like I’ll be on the lookout for these when I head to the thrift stores! Thanks for all the research, information, and ideas! Love these! We read them every morning time and it is my favorite activity of the day (on volume 2 with little ones). Thank you for sharing more info about them. Thanks so much for this post! I’ve had my set since spring and they sit unused on the bookshelf. This will help so much! This is great, Pam! My set has been sitting on the shelf waiting for me to figure out how to use it, so I really appreciate these ideas. I didn’t even realize there was a topical index! Can you attach a picture of the wooden house? 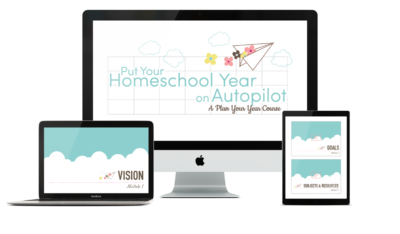 Kelly – I sold a different set of books many homeschoolers love. I haven’t regretted that either, so I know where you are coming from. The cost of the sets is one of the reasons it was very important to me to highlight the free, online options for these stories. No, it isn’t the same as having your own set in hand but the stories are still enjoyable. Thanks for commenting. I plan to remedy that this year. Catholic Treasure Box! (Shocking! They are going to take away my Catholic homeschool mom membership!) We read some of them and Olivia liked the stories of St. Therese but the rest fell flat with her and everyone else. So it isn’t just me? I have the entire set and we have tried and tried to read Catholic Treasure Box, but the stories just don’t appeal to my littles. I feel better that I am not alone! These books are treasured in my home and library. I have two sets of the gorgeous green 1921 editions, a 1971 set that I have in my homeschool lending library and various single volumes. I want each of my sons to have a set for their own when they leave my home so I need to,acquire one more set. I have all the titles shown above as well as a Bible heroes title. Her books are real gems worthy of collecting of you can find them. Are the 1971 editions illustrations still beautiful? I don’t know which to get. I hate to get them too old and have the bindings break and all as we use them. I just snagged Volume 2 at a vintage store downtown for $3!!! I had resigned to reading on google books, but this may be the start of a treasure hunt to find the rest. Thanks for your breakdown, I do so enjoy easy books for the kids to read quickly! Loved finding this. I have a mismatched almost complete set but they are from different years. I wonder if you know when she split the set from 6 volumes to 12? My 1920 and 1925 books are ‘Up One Pair of Stairs’ labelled Vol 2., and ‘Treasure Chest’ – labelled Volume 4. I am trying to find out if this set had 6 or 12 books. It is Dark Green, paper pasted color picture on front with the title in a heavily embossed type. The words ‘My Bookhouse’ are on top of the cover art, and the title of the volume are underneath the cover art. I also have 4 volumes of a set published in 1937- these are Dark Blue, and I wonder if they belong to the ‘rainbow set’. I can’t seem to source what years that set was published. Such fun sourcing them all. I have grandchildren now and am trying to complete a set for each family. Brilliant Blue editions 26 though 31. The parent guide “In Your Hands” first appeared at least in 1943 and accompanied Brilliant Blue editions subsequently. For the best info on the books the OBM biography is the way to go. There is an appendix in the back that breaks down each printing and what they were like. Good luck! Pam, I remembered reading your post a while back so yesterday, when I was at my local thrift shop and found the same Rainbow set you have with parent guide, I was jumping for joy!! They were $2.99 each x 13 books. Then I had a 30% off coupon and for every four books, you get the fifth free. When all was said and done I paid about $23 for the 13 volume set!!! Please don’t take this as a brag. I’m just so excited!! Today, I came back and reread your post to reacquaint myself with the history of the books. Thanks so much for the post!! Not bragging at all! I am happy you came to share your great deal. It will give others hope that those deals are out there and they can get their own sets. Enjoy! This post lit a fire under my buns to find this set for myself – I love the idea of incorporating it into our morning Circle Time. I scoped eBay for awhile, but then put it on the back-burner for future reference. I’ve found that if I wait long enough, it is amazing what can show up in used book stores and thrift shops. Sure enough, I found 7 of the 12 books last week for a dollar each. Yessssss. I am so pleased. They are the 1971 white version in impeccable condition. My MIL volunteers at a thrift and will be on the look-out for me to fill in the gaps – meanwhile, I will start right away with what I’ve got. I am thrilled! What a rich feast. Just found nine of the twelve volume set from 1937 (I think – green binding) for two dollars each at a huge used book sale a local historic home runs. As I was walking out, hugging my treasure, I couldn’t help but think of telling you, Pam! Now I need to look more closely to see which three I need to hunt down. Good luck treasure hunting, all! I just love you guys coming here telling me about finding good deals on these! I found a full 1937 set for $1.75 each at a book sale!! I was literally jumping up and down. Woot! That is an awesome find! I will start listening to the audio versions you shared Pam with my 2.5 year old daughter for now. Thank you! I am so excited. I bought a completed 12 volume My Book House set plus the two parent books for only $5. The entire set! Only $5! And all the books are in really good condition. We are adding them into our read aloud time. Oh, and I’m so glad you mentioned the index in the back of volume 12. It is so helpful, and I probably would have never seen it! I am so excited for you! That is an awesome deal! What a gem your post is for me. I was given the set by a sweet dear sister in Christ. I loved the old stories and thought maybe it would be a good set of stories for my boys to read. I finally decided to google on how to use them and I found your post. I am so glad to read about the Character Building index. I was just trying to figure out what to use for our “morning meeting” check-in time and this will be perfect. I am so grateful for the suggestions. Blessings to you. I’m so confused. Maybe the order of the nursery rhymes are rearranged in different editions? We were looking for Peter Piper Picked a Peck of Pickled Peppers. My 1937 In the Nursery doesn’t list it. When I google it, I find a few references to page 55. My pg 55 has How many miles to Babylon? And Birds of a Feather. Also noticed my copy doesn’t match the LibriVox file for In the Nursery. Wondering if librivox just has random readings rather than straight through or if the different editions really vary that much in content and/or order. The LibriVox version will be based on the 1920’s version from the public domain. My husband and I snagged a full 1937 set without knowing what we were getting at the second day of our library’s fall book sale this year! We got 2 full brown grocery bags full of books, including these, for $10, so we essentially got this set for about $5! We have since learned what an amazing find it was! I am a Book House baby! I did not realize there were more out there. My parents purchased a 1920s set in the late 60s. It traveled the world with us, and is one of my most prized possessions. They definitely shaped who I am., as I read and reread these stories. Even as an adult, I will go back and read them. My collection of children’s literature began with this set. Do you know how these books compare to other old compilations? I have several volumes from “The Bookshelf for Boys & Girls”, 2-3 volumes in Collier’s Junior Classics, and a couple from Journeys to Bookland (those I inherited from my great-grandmother’s shelf; the rest I picked up randomly at book sales). One volume of Junior classics is a selection of biographies (“Roads to Greatness”). The “Bookshelf” series doesn’t include retellings but the actual stories, sometimes with a spattering of original illustrations. For instance, one book includes “Mike Mulligan and His Steam Shovel”, and actually has the author’s original drawings, which are different from other stories in the book. But it doesn’t have ALL of them, just some, as if to give a sample. I’m just curious if this would be a great addition to our library, or just more books of the same. Not that that would stop me getting them if I found them at a good price, I love anthologies, especially if they’re old! 😀 But I’d just like to know the content and how it compares. Thanks! Like the other Mom said, the Picturesque Tale of Progress that Miller also wrote are good history supplements. We love the My book House set. YouTube the poems or folk songs to hear the full poem or hear it sung. Another way we add to MT. The fine print at the bottom of the pages sometimes gives background on the piece. Ok, just being honest here…I started reading the email and thinking “I haven’t heard of these”, but then as I kept reading your post it sounded like maybe these were books I already had. Lo and behold, I looked over at my book shelf and YES I have them. Volumes 1-12 are sitting on my shelf. I’m so glad you posted about this because a while back I had thought of getting rid of them because we have never used them but they just looked so beautiful so I thought, “maybe one day we’ll use them.” So thankful you posted about these beautiful books. For sure I will begin using them in Morning Time. I finally stepped into the used bookstore in my town after 2 years of living here. And I found the whole series including the parent guide books for $25 in excellent condition. When I saw them I instantly remembered this email that you sent out. And I purchase them without any hesitation. When I got home my six-year-old went right to them and began reading! I am so excited I found these. Google has 5 of the original 6 volumes online. https://www.babel.hathitrust.org has volume 5, From the Tower. I also have half of the 1971 edition & am pleased the update didn’t mean getting “modern” illustrators. May I recommend Ada M. Skinner and her sister, Eleanor L.? Their collections of stories and plays, illustrated by Maginel Wright Enright, Mary L. Spoor, Jessie Wicox Smith are delightful! Between HathiTrust, archive.org, and Google you can get full text for most of their books. Does the 1937 set have the Parent book? I’m trying to complete my set and I keep finding them with a 1946 guide.